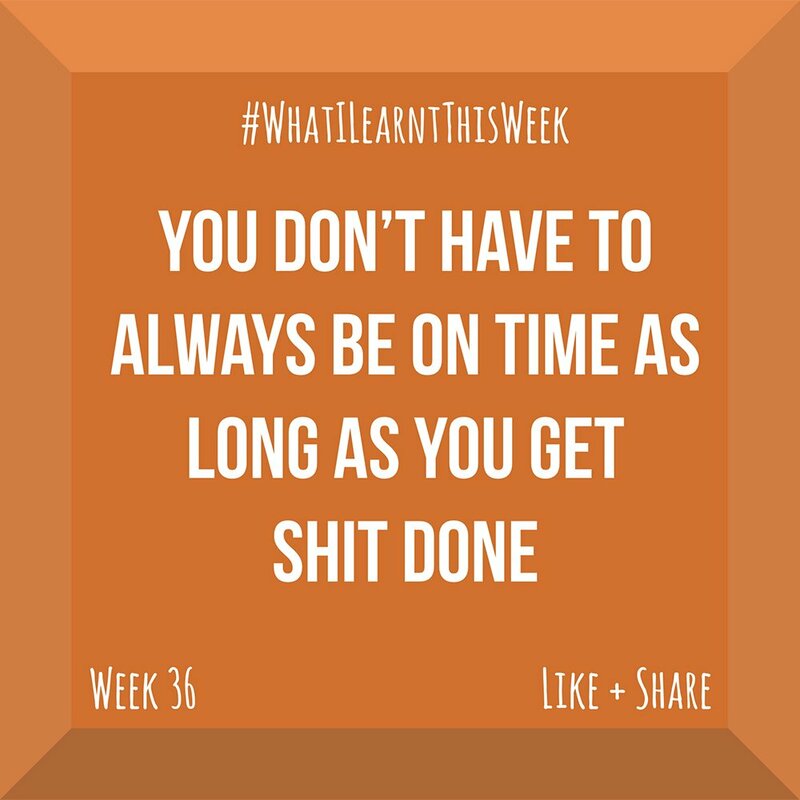 Further to my last #WhatILearntThisWeek, I can be really hard on myself. I used to feel so bad when I’d give myself a deadline and then not meet it. I would sometimes even abandon a project because I had not finished it on time. There are some things that absolutely positively have to get done on time… these non-negotiable deadlines are firm and real and we must do our best to meet them. I’m referring to things with real-world consequences like paying your mortgage on time. However, some of us put a lot of pressure on ourselves to get EVERYTHING done ALL THE TIME. This is really unnecessary and can cause a lot of stress. I do this. I try to be all things to as many people as I can. I have learnt recently that I can’t do this. It’s just not physically possible. I have to pick my battles and pick which tasks I need to get done today, this week or this month. I have decided to stop bullying myself into doing too much and I feel much better for it. It would be nice to be able to get EVERYTHING on my to-do list done today and I’ll do my best, but if I don’t get to fold the clean clothes or make it to the post office before closing, that’s ok. I’ll get it done the next day.